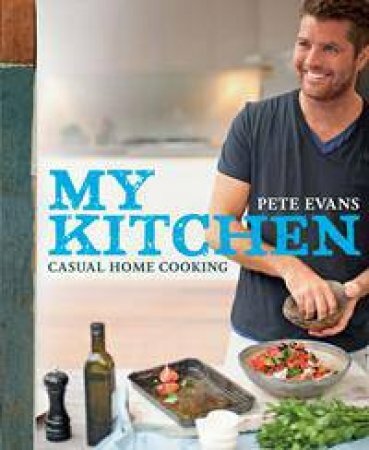 Fresh from hosting Channel 7's popular cooking show, 'My Kitchen Rules', bestselling author and chef Pete Evans brings cooking back to his home kitchen in My Kitchen. Focussing on casual home cooking as a lifestyle, Pete keeps it relaxed with fresh ingredients and flavours for every meal of the day. Featuring the dishes Pete loves to prepare for his family, My Kitchen offers all the inspiration you need to regularly cook simple, interesting meals that are bursting with flavour. Whether you want to create the ultimate seafood curry, a succulent sirloin with mint, lemon and chilli, or a classic lemon and lime cheesecake, My Kitchen is packed with fabulous meal ideas for the entire family.